Beautiful Targhee National Forest surrounds West Yellowstone, Montana and its varied 1.8 million acres provides a multitude of outdoor recreational activities for the whole family year round. For summer, get a CanAm Outlander or Commander XT rental ATV, and for winter, get Ski-Doo trail or mountain sleds. Click for availability, rates and trails. Targhee National Forest Idaho is a great place to get out into nature when visiting Yellowstone and the west side of the park. The landscape includes a wide diversity of climates, from semi-desert to timbered highlands, with numerous streams, rivers, waterfalls and lakes. Targhee Forest is located mainly in Idaho, but stretches into Wyoming, with borders on Yellowstone and Grand Teton National Parks. The Continental Divide is the northern boundary. The Targhee National Forest is accessible the whole year through. The Forest attracts visitors from all over who want to experience the many varied landscapes and scenic beauty. With the year-round outdoor recreation available, your opportunities to create the greatest vacation ever are virtually unlimited. You’ll discover boating and water-skiing at the Island Park Reservoir as well as the Palisades Reservoir. The Snake River is the place to go for canoeing, rafting and kayaking. There is also some good rafting on the Henry’s Fork. Check out the National Recreation Water Trail where you can do a 5-mile peaceful float and watch the wildlife on the shores. If you have your state license, you can do some big game hunting within the forest. You can go for antelope, moose, elk or mountain goat. Many other types of game are ready for the hunt, like bighorn sheep and black bear. Streams, rivers and lakes are abundant, and are world-renowned for the excellent fly-fishing opportunities. Try Quake Lake or Island Park Reservoir to start with and then explore further. You’ll find catches of rainbow, brown and cutthroat trout as well as salmon and whitefish. 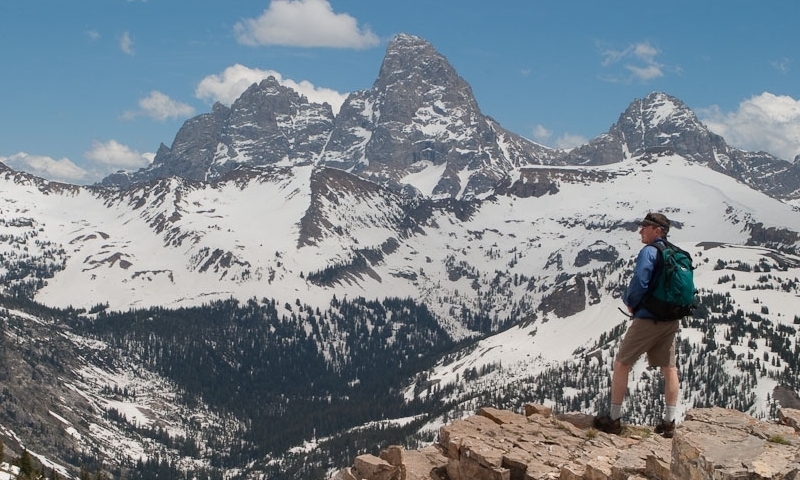 With more than 1,200 miles of trails in Targhee Forest, you’ll find hiking through the wilderness is easy to do and can be an exhilarating experience. Camping out in this national forest couldn’t be better. 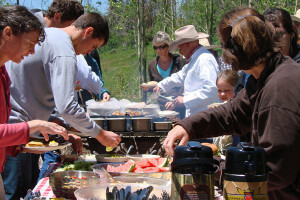 There are 31 campgrounds in Targhee, and a total of 670 campsites, with many right next to rivers or reservoirs. Most of the undeveloped areas within the forest are also open to camping. Miles and miles of groomed snowmobile trails will have you out in the white landscape for some thrills. The open backcountry is perfect for cross-country skiing. There are two ski areas within forest boundaries, too. But that’s not all. There are other activities you can enjoy in the Targhee National Forest, such as rock climbing, bird watching, gold panning and berry picking, to name a few. The fun never stops in this, Mother Nature’s outdoor paradise. Summer temperatures average between 70 and 80 degrees, making it ideal for outdoor fun. In the evenings the temperatures drop about 20 or 30 degrees. Winters, of course, get quite cold in this mountainous region, at times getting as low as minus 40 degrees. Always dress appropriately. 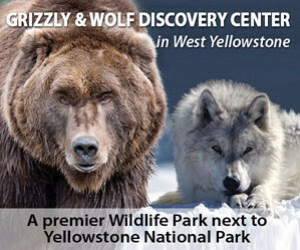 Information about Wyoming's Bridger Teton National Forest.